General purpose of this lecture is to present on Digital Logic Design. 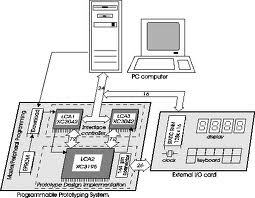 Digital logic design is concerned with the pattern of digital electric circuits. Digital circuits are applied in the pattern and construction of systems such as digital computers, information communications, digital recording, and many other applications that need digital hardware. This lecture presents the basic tools for the design of digital circuits and provides the fundamental concepts utilised in the design associated with digital systems. Special objectives are to introduce the fundamental concepts of digital systems and introduce the basic techniques to analyze and design digital logic circuits.